Large-scale ocean circulation naturally results in low-oxygen areas of the ocean called oxygen minimum zones (OMZs). The cycling of carbon and nutrients – the foundation of marine life, called biogeochemistry – is fundamentally different in OMZs than in oxygen-rich areas. Because researchers think deoxygenation will greatly expand the total area of OMZs over the next 100 years, studying how these areas function now is important in predicting and understanding the oceans of the future. This first expedition of 2016 led by Dr. Mak Saito from the Woods Hole Oceanographic Institution (WHOI) along with scientists from University of Maryland Center for Environmental Science, University of California Santa Cruz, and University of Washington aimed to do just that, investigate OMZs. 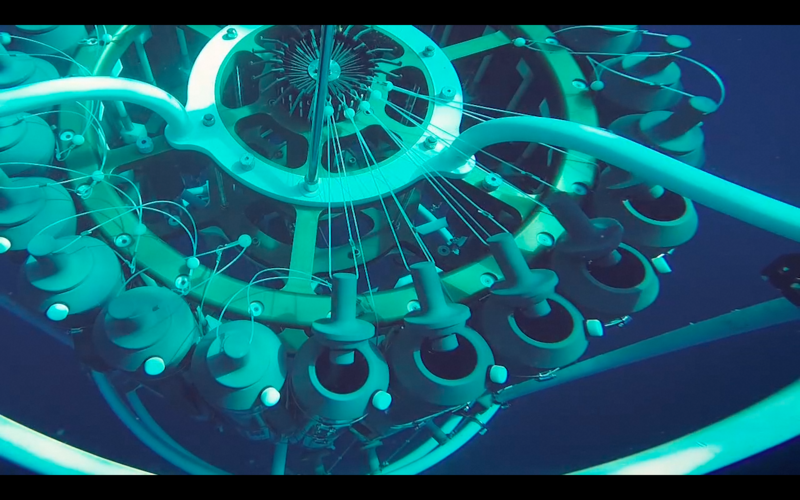 The Mariana subduction system is a valuable natural laboratory for testing ideas about what governs the distribution of animals at hydrothermal vent systems. 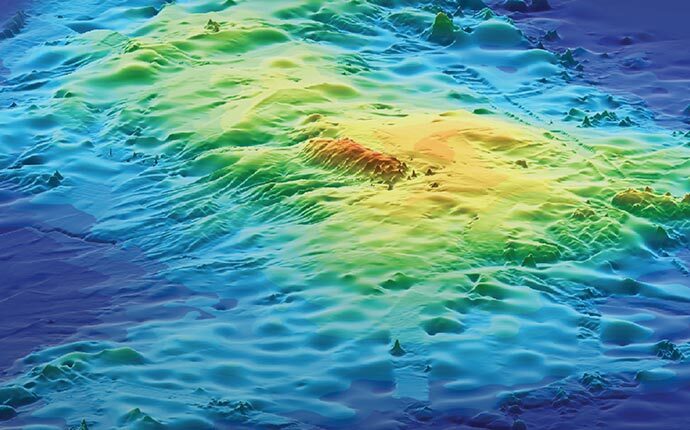 This is because the area has a wide range of habitats, including the very deep trench, a shallow to mid-depth volcanic arc, and a mid-depth to deep spreading back-arc. 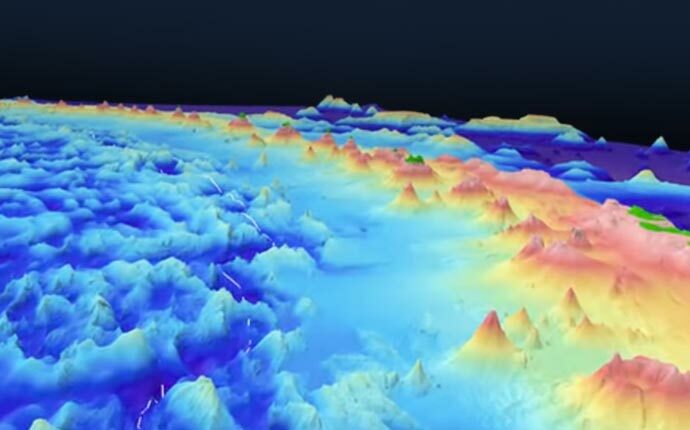 Of these, only the volcanic arc has been the focus of extensive hydrothermal vent exploration, while more than 600 kilometers of the Mariana back-arc remain completely unexplored. This back-arc area will be the focus of this expedition. The team will use Autonomous Underwater Vehicle (AUV) Sentry to locate and characterize hydrothermal systems, expecting to find 5 to 10 new sites. The team will also be examining the chemistry and geology of the back-arc vents. Two undergraduate students Juliana Diel and Jennifer Killinger participated in this cruise shadowing marine technicians, scientist and the outreach specialist onboard. 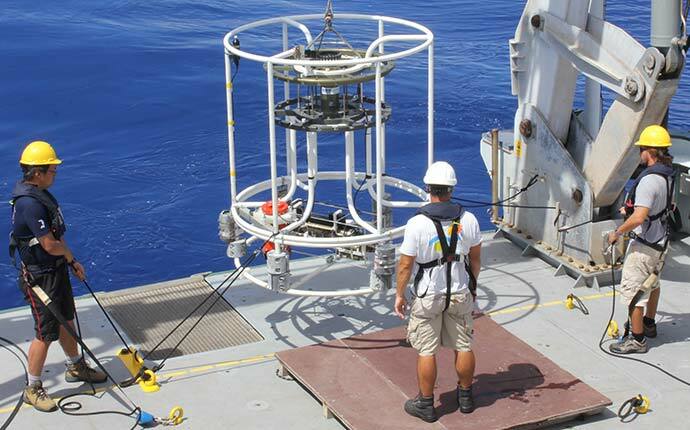 During this cruise the team used the CTD and the vertical microstructure profiler (VMP) to gather data on ocean mixing. Relevant physics governing this ocean mixing are poorly understood, limiting the accuracy and usefulness of climate models that can provide the advance warning needed to prepare for El Niño Southern Oscillation climate events. The data collected on this cruise will contribute to these models. Learn more about Julianna and Jennifer’s experiences here.